How to resist the State when you feel powerless? How to make your voice heard when you have none? Is anarchism a vain utopia as it is often described by its opponents? These are only a few of the questions one could ask political scientist, anthropologist and anarchist thinker James C. Scott. During an exclusive interview with professors Benjamin Ferron and Claire Oger and their students (UPEC, UFR LLSH, Master 2 “Communication politique et publique en France et en Europe”), Professor Scott discusses what so-called “powerless” actors can do and which strategies they use. From hill tribes of the South-East Asia to medieval French peasants or enslaved African-Americans in the Great Dismal Swamp, James C. Scott paints a vast and diverse history of resistance to authoritarian tendencies. Edited excerpts for The Conversation France. Q: You wrote in a 2012 book called Two Cheers for Anarchism, (Petit éloge de l’anarchisme) that your conversion to anarchism is the result of an intellectual evolution linked with your disappointment toward the possibility of revolutionary change. You also define anarchism as a praxis: a defence of politics, conflict debate and a principle of uncertainty and perpetual learning. The book produced a lot of comments, both positive and negative. How do you combine your analysis of long-term and discreet resistance of subaltern groups, which often turn to be a sum of multiple individual acts, with the collective and often short-term dimension of political action? James Scott: ‘Anarchism as a praxis: a defence of politics, conflict debate and a principle of uncertainty and perpetual learning’. James Scott: It seems to me that almost every successful revolution movement is an assemblage of people with many different objectives. People during the French Revolution had different agendas – and of course they didn’t know they were making the French revolution. We often miss the unconsciousness behind such events. It is only later that the “winner” retrospectively creates a narrative which makes the movement very centralised and organised much more than what it actually was. People are hard to control because their motives are plural. In many places in South East Asia, people are difficult to administer because they would need to be captured one by one. There were no leaders you can bargain with. Another good example is the anarchist Polish movement. There was no centralisation. It was hard to mobilise at first but after a while people were committed. And it came from their own volition. That is both the advantage and the disadvantage of anarchist globalised form of revolution. People are harder to get together but once they are, it is even harder to put them back into the bag. Q: Your work relates to various contemporary contexts, including movements of resistance contesting the State authority as well as capitalist economy and the standardisation of cultures. We think of Occupy Wall Street, Nuit Debout or the ZAD movements in France who are drawing people internationally too. Are we seeing new ways of contesting State authority from within? J.S. : Well, I do not consider myself a pundit. But the best I can do though is to think carefully about previous social movements. I am an American soixantehuitard formed by the Vietnam war. After my work in Malaysia I decided to devote my life to understanding peasantry. It is the largest class in the world and the most important one, historically. So, if development means anything, it should mean something for peasants and if it doesn’t, then the hell with development. That is why I tried to understand the wars of liberation and the peasantry. What I learned is that centralised revolutionary movements have almost always resulted in a State that was more oppressive then the ones they aimed to replace. In other words, when the revolution becomes the State, it becomes my enemy again. That is why it matters greatly which methods are used in order to achieve power. Methods are the template for organisation, hierarchy, democracy and so on. If we discuss social movements such as Chiapas, my first question would be: How are they organised? How are they developing their technics? How accountable are the elites to the others? I am the enemy of hierarchical movements of opposition because I think they replicate State structures in their own organisation. Q: You bring attention in an 2012 interview (“Infrapolitics and Mobilisation”) to the differences between dominant groups and subaltern groups. But don’t you think your definition is a bit too radical? What about for instance unions who are defending dominated groups but are also working within the system? How would you define them then? J.S. : I tried to give this binary definition between dominated and dominant people, but you are right that it is much more complicated than that, as I expose it in my earlier work, Weapons of the Weak. There are actually hidden transcripts in each layer of a group and in every situation. Hidden transcripts can be things we don’t say openly. Take politeness. We conduct our day saying nice things to people. It is a kind of social lubricant that allows our relations to flourish with others but it could often misrepresent our opinions. Only gradually, in trust and confidence, will we disclose who we really. Q: In that case, what is the thin line between infrapolitics and politics? You mention the example of the Spanish Civil War and the display of clerics’ bodies against the orders of the authoritarian regime and the Church. As we understood it, this act seemed a more political act then an infra-political one. J.S. : Indeed. I used the exhumation of clerics’ bodies in Spain in 1936 to show that it was a very loud, symbolic act. It was a public act, actually the opposite of infrapolitics. No money changed hands, no one was killed, no property was redistributed. Yet, it was a pure symbolic act of resistance saying “We are not afraid of the Catholic Church, we are not afraid of the dead bodies of the cardinal and the saints and throwing them in front of the steps of the church”. It was an act of desecration, meant to scandalise the bourgeois, Catholics and the church fathers and so on. On the contrary, infrapolitics are politics that never declare itself publicly which is why it is successful. Let’s look at the military. There is a difference between desertion and mutiny. Desertion is just the act to leave. Mutiny is open opposition to power, direct confrontation. Desertion is below the level to any public claim. That’s infrapolitics. In that order, I argue that for most people dealing with authoritarianism, where taking public actions become dangerous or even fatal, infrapolitics are politics. The peasant resistant movements of 18th century France, as exposed by Emmanuel Le Roy Ladurie and which I discussed in _Decoding Subaltern Politics: Ideology, Disguise and Resistance in Agrarian Politics, give us a good example. French peasants resisted the tax not by publicly using force or demonstration – although that happened too – but by using various and numerous small strategies to avoid paying the “dime” (tenth) tax, such as hiding goods, faking numbers, etc., over centuries. Q: Should we give political meaning to illegal practices? Are these infrapolitics? For instance, street peddlers disregarding State norms? It can take other more trivial shapes too. In 1991, I spent a year in Eastern Germany, working on a farm to improve my German. I lived in a tiny little village and the nearest city was Brandenburg, where I would go only once a week, by train. At 9.30 pm I would be waiting for the train by a sign post. At night, there was absolutely no traffic and you could see the empty road for miles. Yet the Germans would wait for seven minutes – the time it took for the sign to go green – before crossing. If I crossed before, they would scold me. So I invented the Scott Law of Anarchist Calisthenics, a special street work out. One day in your life you might break a big law, so you should work on it, exercising throughout your life and breaking small laws every three to four days so as to prepare. Jokes aside, one should not easily break laws, not all are trivial, but law that solidify and concentrate structures of power and property, and control are in many sense illegitimate, and those should be broken. Q: Various actors rely on new media – such as social media – and forms of communication to appeal to a public larger than those directly concerned by the protests. According to American scholar Anne Cronin in her book Public Relations Capitalism (2018), we are witnessing the emergence of commercial democracy in which public relations, promotional culture and the media play a new, central role. “Giving voice to the voiceless” becomes one of the leader’s promotional slogans, an element of their legitimising cosmogony. Even protest movements tend to invest in forms of “marketing of rebellion”. Do you consider that this process should bring us to reconsider the distinction between public and hidden transcript, to redefine the logics of what you call in Weapons of the Weak “the politics of reputation”? J.S. : What social media do is accelerating the speed, volume of circulation and rumours and gossip. Those are only successful to the degree they answer to our fears and desires, standards, darkest nightmares and expectations. Such rumours need to answer desires that appeal to the population. But the real question is, are those standards corrupted by social media themselves over the long term? For example, someone who wants to be a leader needs to adapt his discourse to meet those standards. Look at Martin Luther King’s sermons. Martin Luther King Jr., ‘Loving your enemies’ speech, 1957, Alabama. You can observe a certain pattern in his ethics, discourse, themes used, but, over the course of seven to nine years, those changed slightly. Themes that did not have a resonance among his audience were dropped out of his sermons to give space to those that would meet his audience’s expectations. In a way, we could say that on the long run, the people that went to Martin Luther’s King’s church wrote his sermons for him. Having the perfect pitch for the music, having a resonance with the audience: this is, according to me, how the voiceless work, and how charisma truly works. And having an audience that shapes the message from above as much as people from above shape the values below. Q: You chose historical examples to illustrate your arguments, but what about more contemporary examples? For instance, what about the dark web, can we consider it as an infrapolitical medium? J.S. : Is it infrapolitics? No. But it is interesting and we should think about it. 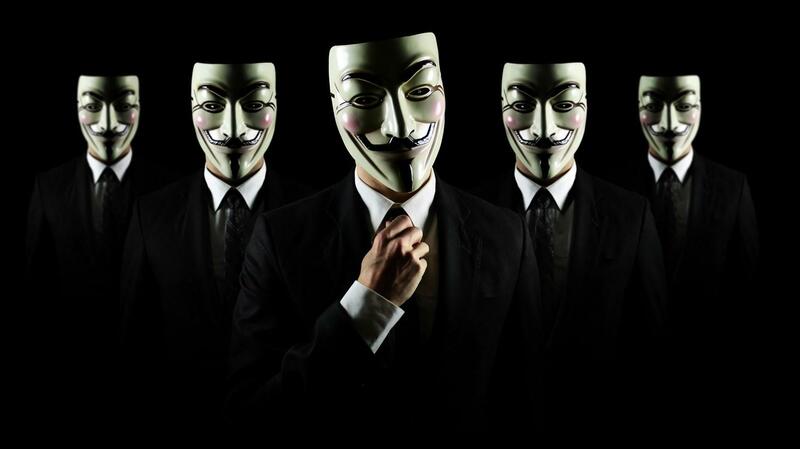 In the dark web no one has to take responsibility, the messenger is anonymous, as in many infrapolitics contexts but also as in poison-pen messengers’ tactics. Here the question arises: to what extent are these act collective acts on the behalf of a powerless group? Or are they simply acts of unhappy and angry individuals? Such acts are only interesting to me when they form a social action on the behalf of a substantial group of one kind or another. Pour en savoir plus : Explainer: what is the dark web? Q: Recently a young French woman has been criticised for wearing an Islamic headscarf while being a student union leader. How do you interpret these reactions and more generally, do you think wearing an islamic headscarf could be considered as “infrapolitics”? J.S. : As a social scientist I am not interested by the fact that she is wearing a headscarf. But I would be interested to know if it’s a public demonstration of her piety or if it is rather about what she considers to be the rights of Muslim woman to wear a scarf. That is why we need to focus on the social understanding of an individual act. In this particular case, we should analyse how this it is understood by the community; both the Muslim community as an act of protest or by non-Muslims as an act of provocation. But this is sheer public politics, not infrapolitics: it is for us to figure out how this is understood by various publics as a political act. In this regard, when someone wears a scarf for whatever reasons, if the world says it is a protest, it becomes a protest. Q: You have been writing about the region, Asia and South East Asia for a while and now you are shifting your work toward Burma. Can you tell us more about it? J.S. : I am now working on the Irrawady River. Rivers tell us what Homo sapiens and States do to natural phenomena in the world. Engineering and damming show how humans work, violate Nature’s traffic or migrating birds and how humans shape lands too. The Irrawady River is the super highway of the Burmese culture. You can go up and down for kilometres and still find the same culture. But if you go 20 miles into the hills, it is a complete different culture. Cultures are cemented by water, as Fernand Braudel showed with his work on the Mediterranean. Waters vehicle integration, it shape knowledge of one another. In 1800 before the steamship, it was faster to go from London to South Africa than by stagecoach from London to Edinburg, so people travelled by sea. Maps deceive us and that’s why water joints are crucial. Ancient states are always built close to rivers, coasts or floodplains which allows agriculture (terrace farming for instance) and independence from other systems. Q: Speaking of water, how would you look at groups trying to escape the contemporary State system, such as pirates, something you discuss in Zomia, the book you wrote about hill people escaping State throughout the Southeast Asia and Himalayas? J.S. : If I had another life I would work on the wet Zomia! Swamps, marshlands and mangrove coasts are places where people flee and hide all the time. Let’s look at the Great Dismal Swamp maroons at the border of West Carolina and north Virginia in the United States. At the beginning of the civil war they were 7,000 escaped slaves living in the swamps. Many were born there without ever having seen a white man. Some could not get to Canada so they went to the swamp as no one could find them there. Swamps had a lot to offer: hunting and gathering as well as corn culture. In Malaysian waters we see similar patterns. The Orang Laut, the sea gypsies have been running away from the State thanks to their boats. From time to time they worked as navy mercenaries or “corsairs”, selling their services to the Malay sultans but they were free from the Nation State. They also travelled and lived in a way that was near to impossible to track. Oceans – like the hills – are open spaces that make it difficult for States to conscript population, tax them or limit their freedom. Students and faculty from the Master’s degree “Political and public communication in France and Europe” invited Professor Scott on May 22. His speech echoed the June 21-22 conference “Giving Voice to the Voiceless? Actors, strategies and discourses” organised by the Centre for the Study of Speeches, Images, Texts, Writings, Communication (Céditec), Faculté des Lettres, Langues et Sciences humaines. Clea Chakraverty contributed to the interview.